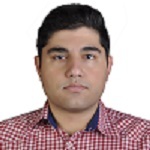 My name is Amirhossein Esmaili and I am currently a Ph.D. student Majoring in Computer Engineering at University of Southern California, under the supervision of Prof. Pedram. I received my B.Sc. and M.Sc. degrees, both majoring in Electrical Engineering, at Sharif University of Technology, Tehran, Iran. 3. A. Esmaili, M. Nazemi, M. Pedram. "Modeling Processor Idle Times in MPSoC Platforms to Enable Integrated DPM, DVFS, and Task Scheduling Subject to a Hard Deadline." Accepted in 24th Asia and South Pacific Design Automation Conference (ASP-DAC 2019). 2. A. Esmaili, M. Kachuee, M. Shabany. "Nonlinear Cuff-less Blood Pressure Estimation Based on Pulse Transit Time and Pulse Arrival Time." IEEE Transactions on Instrumentation and Measurement, 2017. 1.. A. Esmaili, M. Kachuee, M. Shabany. "Non-invasive Blood Pressure Estimation Using Phonocardiogram." IEEE International Symposium on Circuits and Systems (ISCAS'17), 2017.